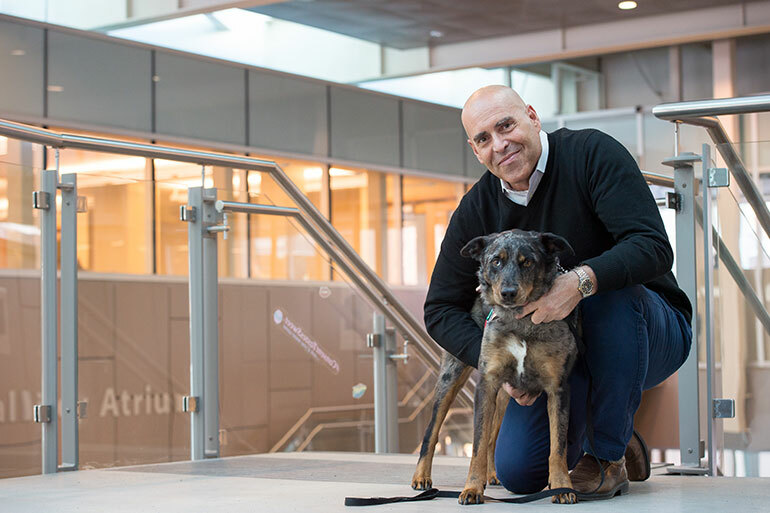 When: Tuesdays from 4:30 to 5:30 p.m.
For the next two Tuesdays, children and dogs are going to take over the foyer of the Engineering, Management and Education (EME) building at UBC’s Okanagan campus. UBC Okanagan’s Building Academic Retention Through K9s (BARK) program is mentoring children from the Okanagan Boys and Girls Club. The program, called Building Confidence Through K9s, is supported by the TELUS Thompson Okanagan Community Board. Seven BARK dogs, their handlers, 10 UBC students, and 22 children aged between five and 12 years old, are involved in the program. As part of each visit, children take BARK dogs into the EME building to meet and interact with university students to help build the children’s leadership and social skills. “I never knew practicing handshakes with a dog could help you shake hands with a human!” says Jack, a nine-year-old participant from the Boys and Girls Club. This is a pilot program and holds the potential to be expanded regionally, provincially and nationally, says BARK director and associate professor in the School of Education John-Tyler Binfet. Building Confidence through K9s continues November 20 and November 27. The last day will end with a celebration event and students will receive graduation certificates.